The Radio Television Digital News Association (RTDNA) has awarded 88.5 WFDD a National Edward R. Murrow Award for Excellence in Innovation for its Community Conversation on Mental Health. This comes after the station received three Regional Edward R. Murrow Awards for Large Market Radio in Region 8, which encompasses Kentucky, North Carolina, South Carolina, Tennessee, and West Virginia. 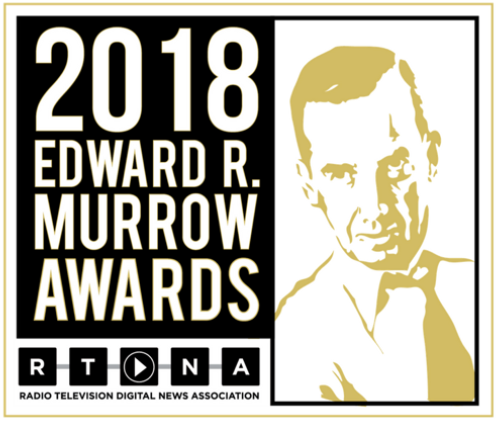 Murrow Awards, among the most prestigious in broadcast and digital news, are presented to news organizations that demonstrate the spirit of excellence that Murrow set as a standard for the profession of broadcast and digital journalism. “Winning an RTDNA National Edward R. Murrow Award means that a news organization has provided exemplary public service to its viewers, listeners and readers. These honorees truly represent the very best in broadcast and digital journalism around the world,” said Dan Shelley, RTDNA Executive Director. This award highlights the work surrounding last year’s Community Conversation on Mental Health. The station used the World Cafe Group Dialogue Method for this event and the topic was chosen by WFDD listeners through the Carolina Curious module, powered by Hearken. At the community conversation, the station gathered feedback from listeners on what coverage they would like to hear as a follow-up; through a vote, listeners and attendees overwhelmingly chose the subject of mental health barriers, specifically, which resulted in a feature report. “Our listeners were with us every step of the way with this event and informed our surrounding news coverage, which makes it especially fulfilling to receive such a distinguished award. It’s a recognition we can share with our entire community,” said 88.5 WFDD News Director Emily McCord. Provost Rogan Kersh served as moderator of the dialogue.